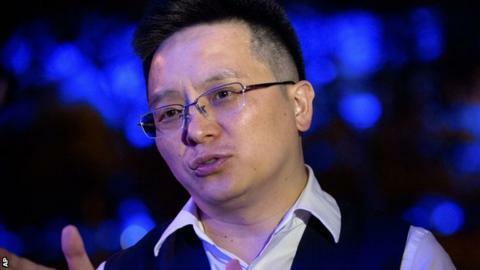 Chinese businessman Dr Tony Xia has completed his £76m takeover of Championship club Aston Villa. The 39-year-old has passed the Premier League and Football League's fit and proper person test and will become chairman of the West Midlands side. He succeeds American Randy Lerner, who bought Villa for £62.6m in 2006. Villa were relegated from the Premier League for the first time last season, finishing bottom, and have since named Roberto di Matteo as manager. Dr Xia spent six years at Harvard and Massachusetts Institute of Technology, including five months at Oxford University, before returning to China. He made his fortune as the owner of Recon Group, a holding company that has the controlling interest in five publicly listed companies on the Hong Kong and Chinese stock exchanges, employing 35,000 people in 75 countries. His takeover comprises a £52m purchase price and a £24m overdraft. In addition, he will contribute £60m in operating costs. Dr Xia met the Football League's Shaun Harvey in London on Monday for formal confirmation he had passed the owners' and directors' test, after the Premier League had been satisfied in its investigations. The new Villa vice-chairman is Chris Samuelson, an international financier who has been involved in a failed takeover at fellow Championship club Reading. He also attempted to inject finances into Premier League Everton more than a decade ago. The new chief executive is Keith Wyness, who filled the same role at Scottish Premiership club Aberdeen, then Everton. Samuelson was instrumental in getting Dr Xia interested in the Villa project and introduced the new owner to Wyness. Dr Xia is expected to inject about £30m into the transfer fund available to former Chelsea, West Brom and Schalke boss Di Matteo as he rebuilds a first-team squad that won only three league games last season.